Picking up where his last adventures in Rose Gold left off in L.A. in the late 1960s, Ezekiel 'Easy' Rawlins finds his life in transition. He's ready--finally--to propose to his girlfriend, Bonnie Shay, and start a life together. And he's taken the money he got from the Rose Gold... read full description below. Walter Mosley's indelible detective Easy Rawlins is back, with a new detective agency and a new mystery to solve. Picking up where Rose Gold left off in L.A. in the late 1960s, Ezekiel Easy Rawlins finds his life in transition. He's ready to finally propose to his girlfriend, Bonnie Shay, and start a life together. And he's taken the money he got from the Rose Gold case and has, together with two partners, started a new detective agency. But, inevitably, a case gets in the way: Easy's friend Mouse introduces him to Rufus Tyler, a very old man everyone calls Charcoal Joe. Joe's friend's son, Seymour (young, bright, top of his class at Stanford), has been arrested and charged with the murder of a white man from Redondo Beach. Rufus tells Easy he will pay and pay well to see his nephew exonerated, but seeing as how Seymour was literally found standing over the man's dead body at his cabin home and the racially charged motives behind it, that might prove to be a tall order. 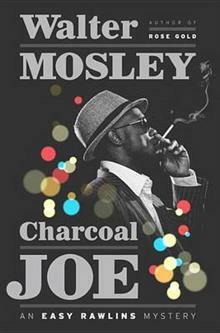 Between his new company, a heart that should be broken but is not, a whole raft of new bad guys on his tail, and a bad odor that surrounds Charcoal Joe, Easy has his hands full, his horizons askew, and a life in shambles on the ground around his feet. 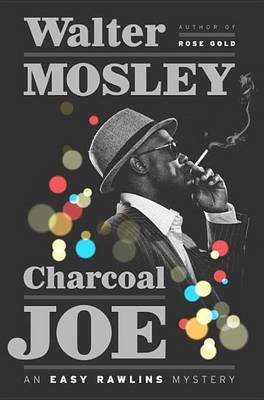 WALTER MOSLEY is the author of more than forty-three books, most notably thirteen Easy Rawlins mysteries, the first of which, Devil in a Blue Dress, was made into an acclaimed film starring Denzel Washington. He is the winner of numerous awards, including an O. Henry Award, a Grammy Award, and PEN America's Lifetime Achievement Award. A Los Angeles native and graduate of Goddard College, he holds an MFA from CCNY and now lives in Brooklyn, New York.